There is a lot of advancement in the electronics industry which are improving day by day. The electronic products are manufactured with precision and accuracy by specialized engineers. There are a lot of things associated in the manufacture of an electronic product. Wires, windings, resistors etc. are common things used in the preparation of an electronic appliance. But one of the important thing that’s used in every appliance is the electronic paste. This electronic paste is made up of silver, aluminium and other type of elements. These pastes are heated and applied to maintain a mechanical connection for electric/thermal/dielectric connection. The electronic pastes are an essential need in the electric appliances. The use of more paste can lead to a short-circuit and if little is used then there is chances of a poor connection. There are also many varieties of pastes available in the market. One should ensure to take a good quality of paste to ensure a strong connection. *	Conductive paste – The conductor paste is an adhesive which attaches electrical connections together. These are very much used in boards where wiring may not be possible. There are various types of conductive pastes available like Ag paste, Ag/Pd paste, Au paste, Pt paste, wolfram paste which can be used in different applications like buzzer, stainless steel substrate electrode, led ceramic circuit, thick film circuit and as sensing element etc… With so many vast applications these pastes are in high demand. *	Resistor paste – The resistor paste is a very important discovery. It is prepared such a way that it is thermally conductive and electrically insulated. It is mostly used as an interface for heat sink and heat sources. The main composition of these pastes is ag, pd and RuO2. The resistor pastes are used in chip resistor, resistor, substrate resistor and low temperature heating field. There are two categories of resistor paste: power resistance paste and thick film resistor paste. *	Dielectric paste – The dielectric paste is electrically insulated and can withstand a high voltage load. It is also used as a lubricant and is therefore called silicon grease. These pastes find application in stainless steel insulating, stainless steel heating board and alumina substrate thick film circuit multi-layer insulating works. *	Heating board – There are variety of heating boards available such as ceramic heating plate, glass ceramics heating version, stainless steel heating plate and soft substrate heating plate. These pastes have found a lot of applications in repair works, laboratories and appliance manufacturing. There are several professional experts who manufacture the best quality of Ag paste. With improved and enhancing skills these experts have innovated a very good quality of electronic paste. In this era where use of appliances has been boosted up by electrical effect, the manufacturing of such appliances need electronic pastes. 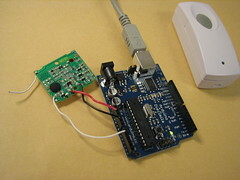 For more knowledge on Electronic Pastes visit http://sryeo.net/ or ring +86 (755) 83286303.